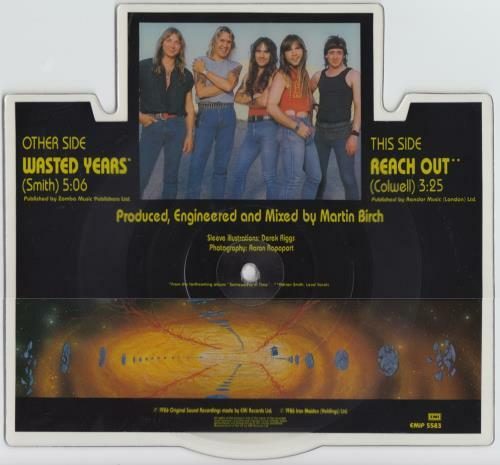 IRON MAIDEN Wasted Years (Rare 1986 UK limited edition 7" shaped Picture Disc single also including Reach Out. 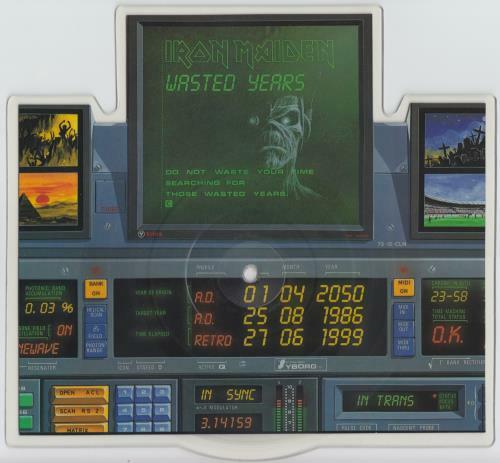 The disc features a superb Derek Riggs computer console image with Eddie's face on the main monitor! EMIP5583).